According to the Norse sagas, the sunstones were used by sailors to locate the sun’s position in cloudy or foggy weather. A popular theory has been that the Vikings used this stone to navigate out on the open ocean. 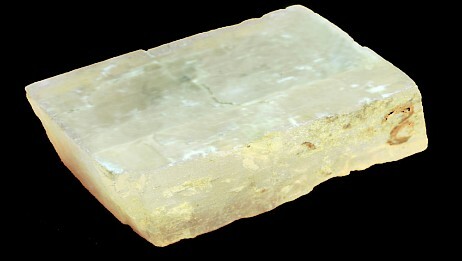 Although several scientists believe that the sunstone has existed, it has until now been difficult to prove the theory. In 1592, a British warship sank in the English Channel. Divers found a mysterious stone nearby the wreck, and it should prove to be a sunstone. This is concluded in a study presented by researchers at the University of Rennes. Having done a chemical analysis, the scientists found it likely that the object may have been used as a navigational aid in the Viking Age, and thus can be one of the reasons why the Norsemen were so remarkably talented sailors even without the use of the traditional compass. The crystal recently discovered in the 1592 sunken Elizabethan ship is shown to be an Iceland spar. We report that two main phenomena, with opposite effects, explain the good conservation and the evolution of this relatively fragile calcite crystal. We demonstrate that the Ca2+–Mg2+ ion exchanges in such a crystal immersed in sea water play a crucial role by limiting the solubility, strengthening the mechanical properties of the calcite, while the sand abrasion alters the crystal by inducing roughness of its surface. 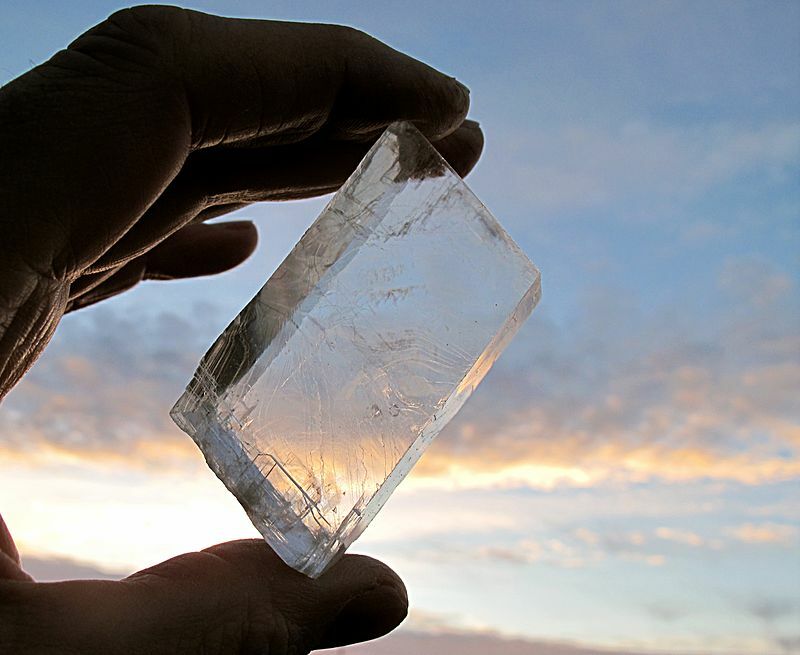 Although both phenomena have reduced the transparency of the Alderney calcite crystal, we demonstrate that Alderney-like crystals could really have been used as an accurate optical sun compass as an aid to ancient navigation, when the Sun was hidden by clouds or below the horizon. To avoid the possibility of large magnetic errors, not understood before 1600, an optical compass could have helped in providing the sailors with an absolute reference. An Alderney-like crystal permits the observer to follow the azimuth of the Sun, far below the horizon, with an accuracy as great as ±1°. The evolution of the Alderney crystal lends hope for identifying other calcite crystals in Viking shipwrecks, burials or settlements. «(…) The king got them to fetch the sunstone, hold it up, and see how the light rays from the stone, and thus directly to where Sigurður predicted». You will find more interesting articles about the Vikings here.